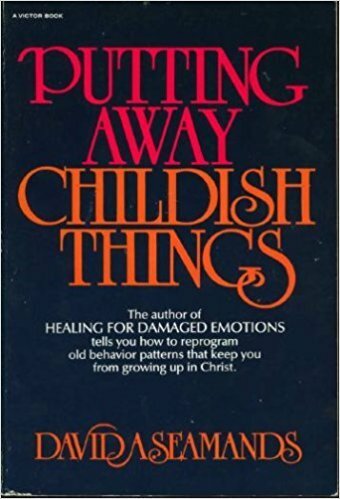 In the fourth paragraph of Dr. Seamands book “Putting Away Childish Things”, he says “perhaps that inner child of your past is so timid, fearful, defeated, and self-despising that no matter how much you want to, you just can’t force yourself to make friends, or speak up when you have an opinion to express, or handle heavy responsibility. He may keep you from becoming the person you have the potential of being”. 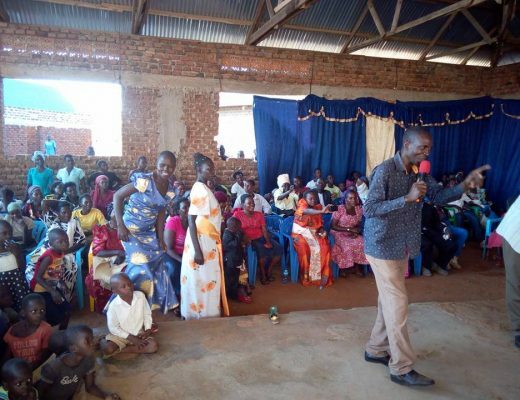 So growing up with a spirit of timidity (2nd Tim. 1:7) became a way of life. Therefore, for bullies and abusers I had become fodder for the canon so to speak. I speak freely about these things because I’ve been set free The Truth (Christ Jesus). My life is now a testimony of the power of my Heavenly Father’s love. Moreover, He’s given me a spirit of love, power, and a sound mind. Don’t get me wrong, I wasn’t immediately loosed from that shy and fearful hidden child. We are still His work in progress (Phil. 2:13). 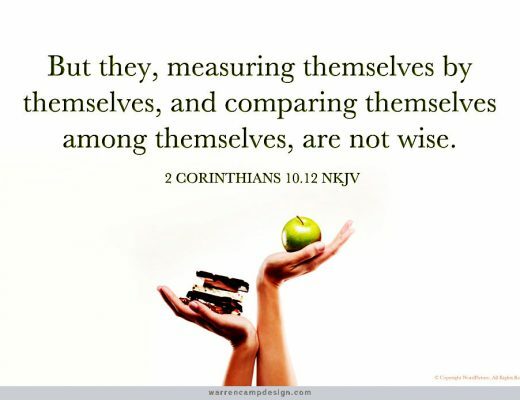 That kid followed my right into my adult life as a Christian, and I am here to tell you, if we don’t study The Word of God for ourselves we can still be misled, bullied and taken advantage of by erroneous teaching and relationships. 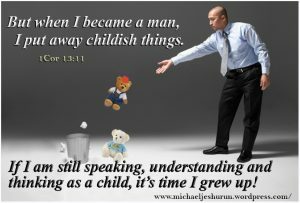 For instance, if my inner child had his way, I would still be a child tossed to and fro and carried about by every wind of doctrine and whatever deceitful, or ignorant men told me. I refuse to be led by a blind person, not anymore. Although for a time, that inner child would not relinquish the throne of my heart. Remember, and I know some of you that have children don’t like to hear this, but kids are natural born rebels. Studies show that they will use the word “no”, long before they pick up on “yes”. They do not come wrapped up in swaddling clothes of obedience. And whether we were the timid child or the angry bullying child, there needs to come a time as Believers to katargeō those childish things.